In arid, mesic, and subaqueous (underwater) settings alike, springs are renown as hotspots of biological diversity. Springs are places where life is highly concentrated, and the species occurring at springs include upland, riparian, wetland, and aquatic taxa, of which some exist only at springs. These springs-dependent species (SDS) are any organisms that require springs habitat for at least one life stage. Some SDSs, such as many hydrobiid springsnails (more than 150 species in North America) and desert pupfish (Cyprinodontidae) occur only in springs sources and outflows, while some dragonflies, aquatic true bugs, tiger and diving beetles, crane and shore flies, amphibians, fish, and other vertebrates require springs for spawning and/or larval rearing habitat, or for over-wintering (e.g., Florida manatees) or winter dormancy (e.g., some turtles). If a species cannot exist without springs habitat, we consider it to be springs dependent. While springs are small habitats, making up < 0.01% of the land area of North America, they are extraordinarily rich in biodiversity. In our recent inventories in large National Forests, National Parks, and other public land units, we commonly encounter 20-25% of the regional plant species in visits to 50-75 springs, which may only occupy 3-5 ha (7-13 ac) of land. In addition, we find a host of aquatic and riparian invertebrate and vertebrate species that occur nowhere else in the landscape. Nationally, at least 10% of the federally listed threatened and endangered species are springs dependent, even though springs make up a tiny fraction of the national land area. In addition to those federally listed species, we have documented more than 1,000 SDS, most of which are not protected, but many of which are rare and exclusively found in just a few springs. Therefore, springs are "Noah's ark" habitats, protecting much of our biodiversity and natural heritage for future generations in tiny, isolated habitats. But springs, as a fleet of arks, face stormy seas and an uncertain future because of unrelenting human demands and ignorance. We at SSI are hopeful that education will increase awareness and help calm that ocean of onslaught. 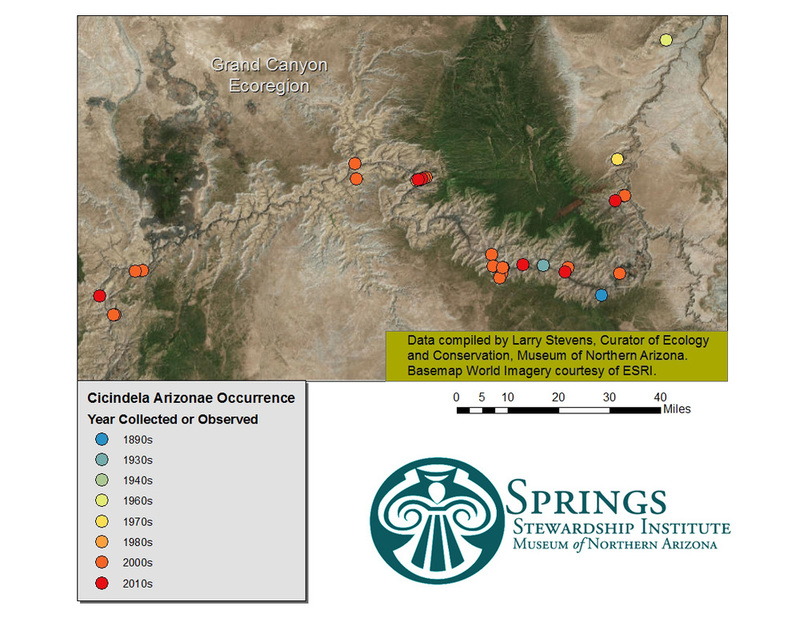 SSI, in collaboration with Dr. Gary Alpert, has begun work on the Springs-Dependent Species (SDS) Online Directory. The project, started in April 2015, aims to bring attention to endemic and endangered species as part of our effort to increase awareness and improve stewardship of these vital freshwater resources. Each species in the directory has complete taxonomic information as well as maps of their geographic distribution and high-resolution images. The images are taken in our laboratory at the Museum of Northern Arizona using a Canon 6D DSLR mounted to a StackShot focusing rail. Specimens are placed in an imaging box lit with LED array lights to illuminate every detail. The system then takes 30-50 stacked source images that are edited in Helicon Focus. SSI has the capabilities and a highly-trained staff to publish articles on Springs-Dependent Species. However, we require additional funding to take this project to the next level. If you would like to play a role in advancing education of springs ecosystems and their dependent species, please donate to our General Fund. Donations are tax-deductible and can go a long way towards achieving our mission. Discovered in the Grand Canyon in 2003, Brechmorhoga pertinax is a species more commonly found in Central America. 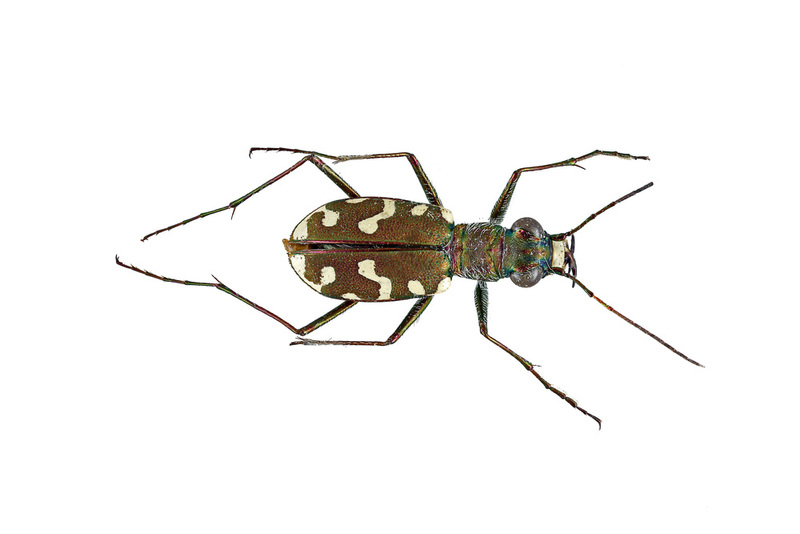 The specimen found in springfed streams from Nankoweap and Stone Creek represents the only breeding population in the United States. 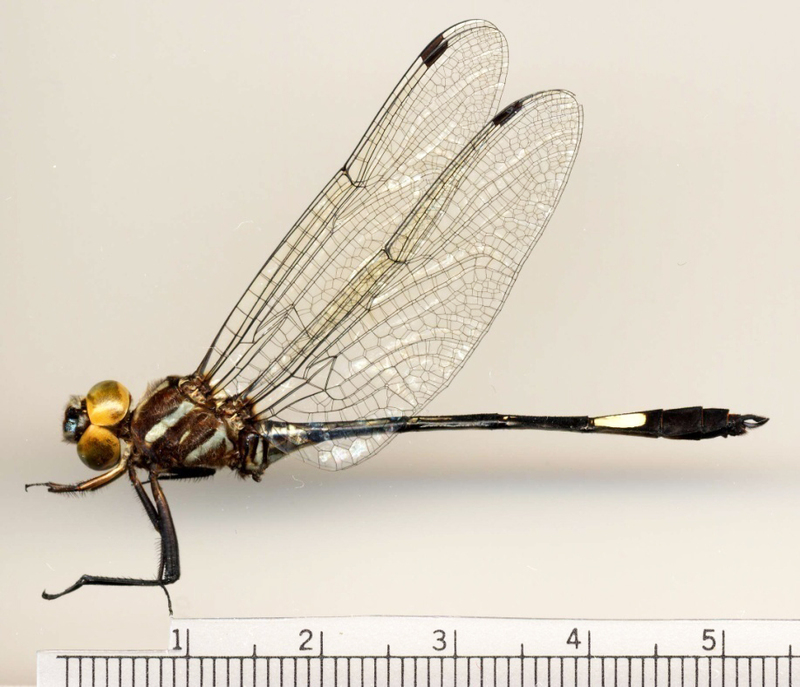 The type specimen of masked clubskimmer was collected in Central America, and prior to its discovery in Grand Canyon, this species was only known from two specimens that were thought to have blown in to the U.S. from Mexico. Thus, the Grand Canyon population is an extremely isolated population and genetic analyses are being undertaken to determine whether the Grand Canyon specimen represents a subspecies. Brechmorhoga pertinax. Photo courtesy of William A. Haber. The masked clubskimmer is a large, showy dragonfly. Large bodied, it takes its common name from the widening, club-like segment of its abdominal region. 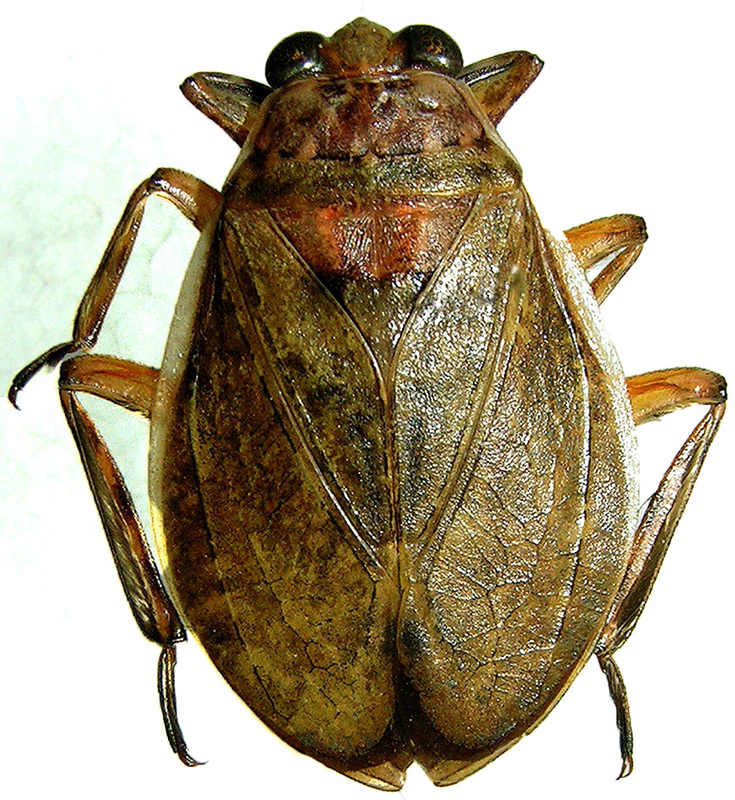 Herbert’s giant water bug is found in lower Grand Canyon in streams within the ancient drainage of the early Cenozoic “California River”, a river that flowed east and north across the northwestern corner of Arizona. 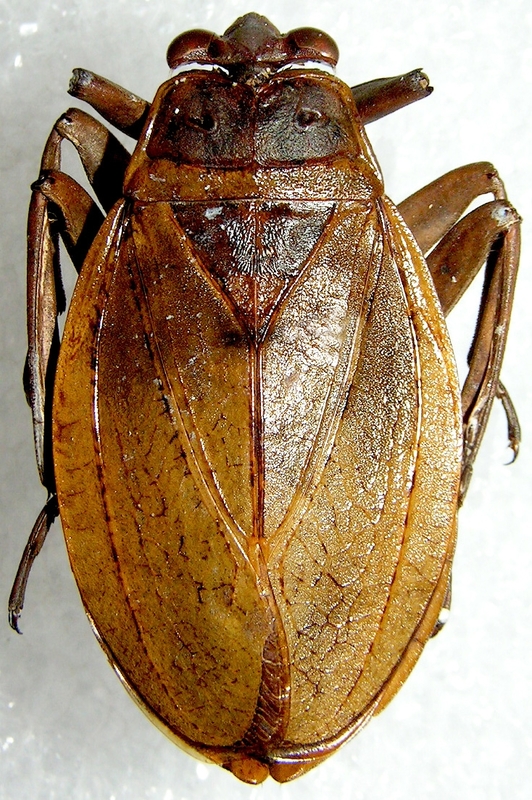 Herbert’s giant water bug is widespread through the Southwest. 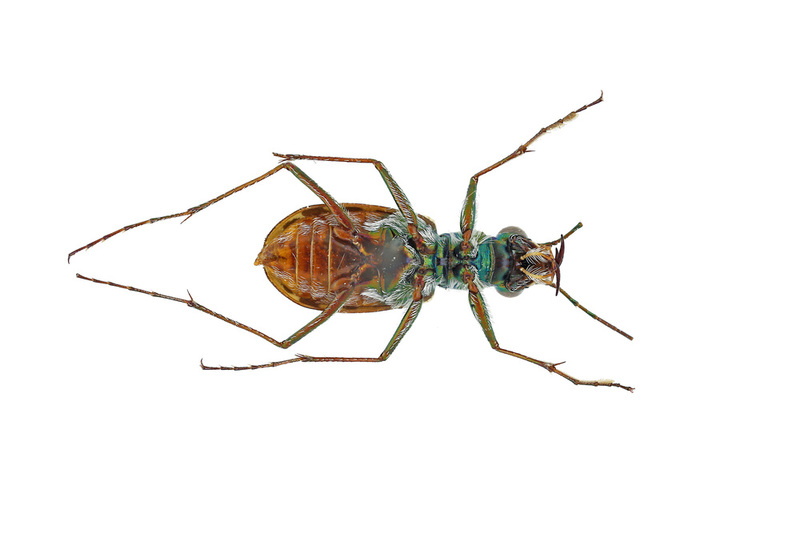 In contrast, the abedus water bug is found only in a single stream in central Grand Canyon, the only population of that species on the southern Colorado Plateau. These are two of three giant water bug species known from Grand Canyon, all of which occur in desert spring-fed streams, and all of which are aquatic predators. 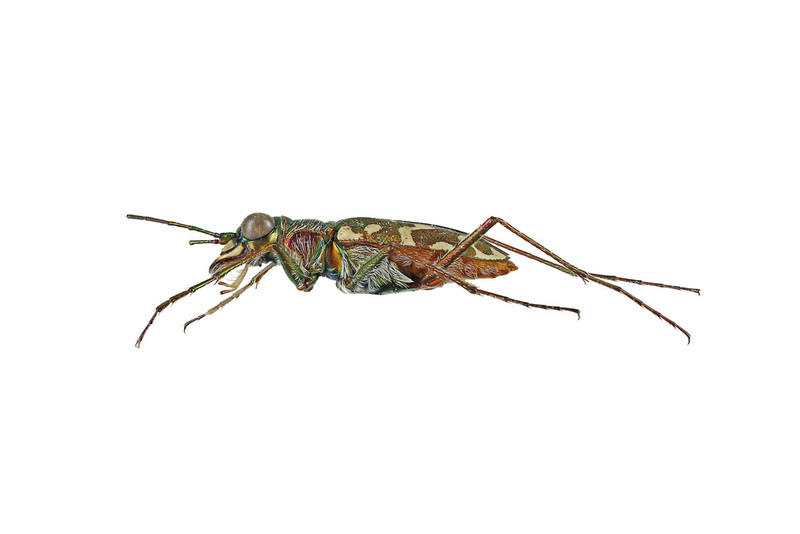 Behavioral observations on abedus water bugs in southern Arizona revealed that it senses on-coming flashfloods, and climbs out of the water and above the flood waters to avoid the scouring effects of summer floods. Originally caught by Dr. Larry Stevens in Lower Madison Springs on the Rio Grande, where it lives under stones at the very back of a rock shelter ledge from which warm spring water emerges. The springtails are quite numerous in their warm, cave mouth-like habitat, but were only found at Lower Madison Springs (one of six Rio Grande springs surveyed by the Springs Stewardship Institute in late April 2015). This species is otherwise known from southeastern New Mexico and southern Arizona, and the collection on the Rio Grande is a 500 km range extension. The specimens were identified by Dr. Ernest C. Bernard at the University of Tennessee Department of Entomology and Plant Pathology, from a high resolution photograph taken by Jennifer Chavez. Dr. Bernard says that"Most Paronellidae are tropical and many of them live high up in trees in the rain forest. The U.S. mainland has only three known species. S. mulcahyae was known from Sierra County, NM (type locality) and from Cochise, Pima, and Santa Cruz counties in Arizona." In 1934, David Rockefeller, Sr., then a teenager, crossed Grand Canyon on a rim-to-rim hike on the first major entomological collecting expedition in Grand Canyon. Fortunately, he deposited specimens at Grand Canyon and at several other museums, including the American Museum of Natural History in New York. Mr. Rockefeller captured a southwestern viceroy butterfly at Phantom Ranch, as well as a number of aquatic beetles (he went on to assemble the largest personal beetle collection in the world). However, the viceroy butterfly disappeared from Phantom Ranch, and for many decades was assumed to have been extirpated from Grand Canyon. Southwestern viceroy butterfly. Split dorsal and ventral view. Image by Tom Cheknis. 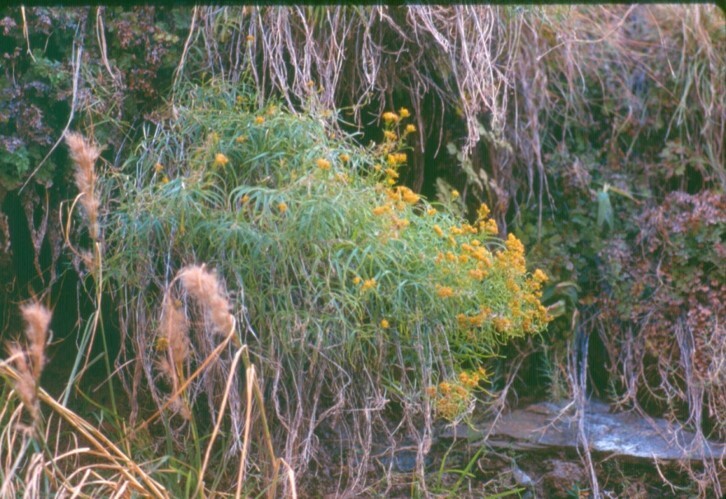 In the Southwest, viceroy butterflies are most often associated with coyote willow (Salix exigua), and that willow species may have been eliminated from lower Bright Angel Creek by flooding in the 1960s. Larry Stevens found viceroys living in Deer Creek Valley in 2009, confirming its continued existence in Grand Canyon. Look for it there around the willows in August and September. In the eastern US, the viceroy is renown as a Műllerian mimic of the bad-tasting monarch butterfly (Danaus plexippus), but in the West it mimics the equally bad-tasting queen butterfly (Danaus gilippus).